The British enthusiasm for gardening has fascinating roots. The Empire and trade across the globe created an obsession with exotic new plants, and showed the power and reach of Britain in the early eighteenth century. At that time, national influence wasn't measured by sporting success, musical or artistic influence. Instead it was expressed in the design of parks and gardens such as Kew and Stowe, and the style of these grand gardens was emulated first throughout Britain and then increasingly around the world. Augusta of Saxe-Gotha arrived in England aged sixteen, speaking barely any English, to be married to the wild Prince Frederick, the reviled eldest son of George II. Her lifelong association with Kew Gardens, and that of her husband and their close friend, Lord Bute, would prove to be one that changed the face of British gardening forever. 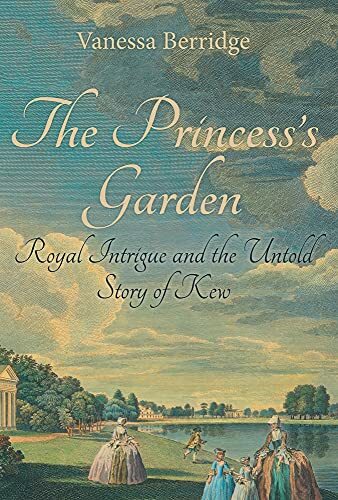 In this book, Vanessa Berridge tells a tangled tale of royal intrigue, scandal and determination in the Georgian court and draws us into the politically charged world of garden design.